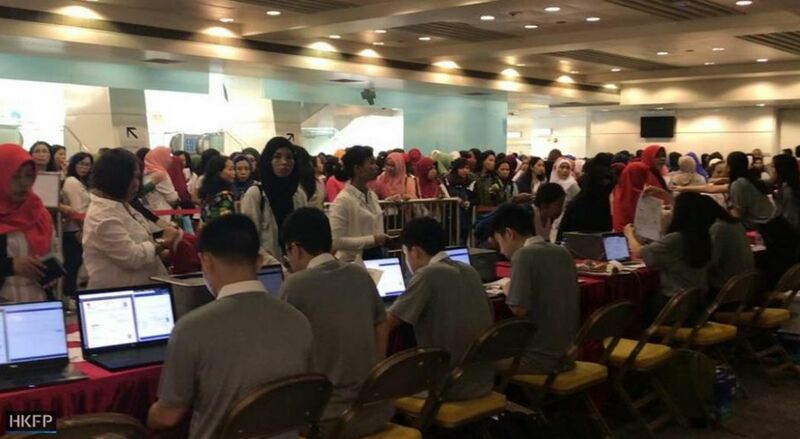 Hong Kong’s Indonesian expatriates voted for their country’s president, vice-president and legislature ahead of time on Sunday. But official witnesses at the city’s polling stations have said that only 27,411 of the city’s 180,000 eligible voters were able to cast a ballot. Emergency services were called as some voters stormed a polling station, whilst others passed out or vomited having queued for hours. Hong Kong’s vote count will take place on Wednesday as polls open in Indonesia, where incumbent President Joko Widodo is running against retired military general Prabowo Subianto. Thousands of government and legislative seats are also up for grabs. 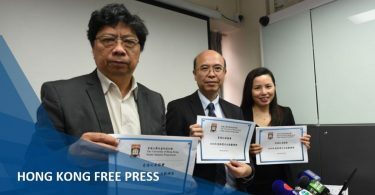 Hong Kong police and election volunteers request emotional domestic workers who couldn’t vote to leave the voting station. Photo: Junko Asano/HKFP. 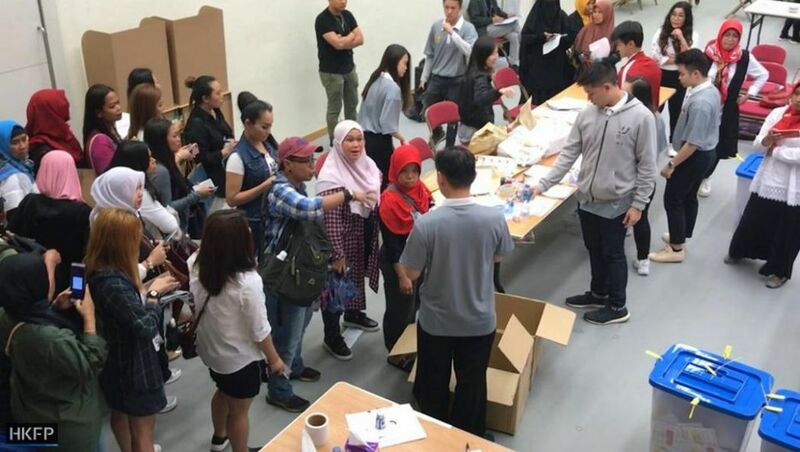 In Hong Kong on Sunday, over 30 Indonesians stormed into the polling station at Queen Elizabeth Stadium in Wan Chai at 8:30pm – 90 minutes after doors closed. A domestic worker, who forced her way inside, petitioned election organisers, saying she had been in line for five hours. Election officials tell voters that the polling stations are now closed. Photo: Junko Asano/HKFP. 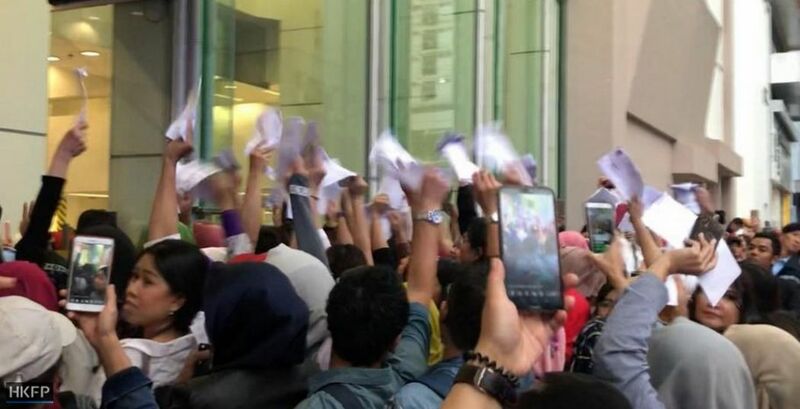 However, Muthi Hidayati, an Indonesian Migrant Workers Union executive committee member, told HKFP that misinformation from the consulate, poor signage and contradictory instructions about invitation letters had caused confusion. The front desk where voters submit their invitation letters and have their details checked against a database. Photo: Junko Asano/HKFP. 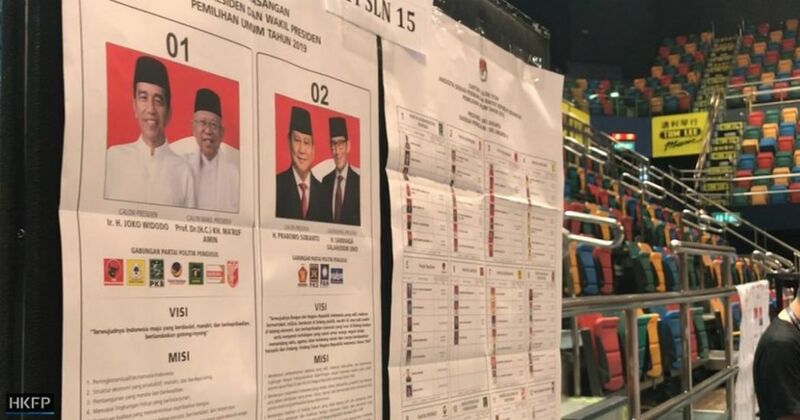 “The Indonesian authorities have been giving out so many mixed or unclear instructions which makes the elections totally chaotic and completely robs our citizens’ right to vote. The authorities receive so much funding from Jakarta to ensure the smooth running of the elections, but I want to ask, what have they been doing so far?” she added. 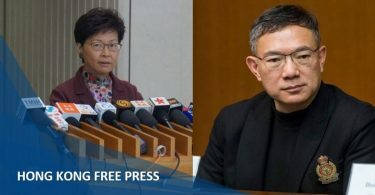 An official election witness, Wiwin Winangsih, said waiting times in Wan Chai were high as voters were filtered into booths very slowly and not enough rooms were opened up. 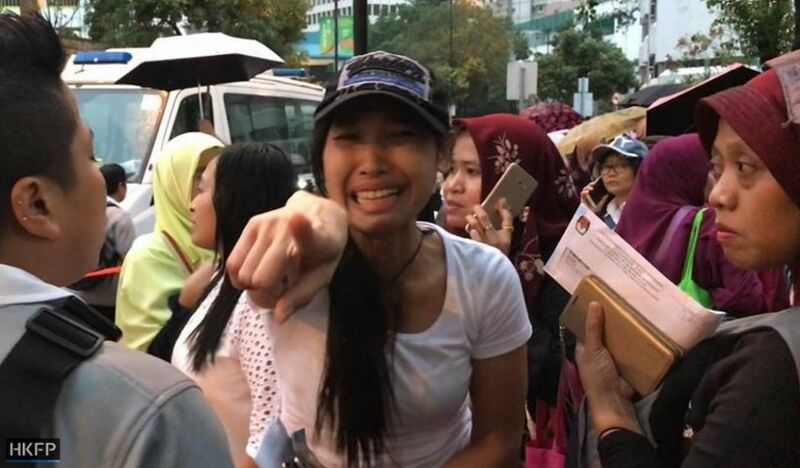 Outside the polling stations, HKFP spotted a number of domestic workers who had waited in line but were leaving in tears as they had to return home to their employers. One woman collapsed on the ground and was helped up by others around her, whilst another vomited in the bathroom. At the Kaifong Welfare Association polling station in Tsim Sha Tsui, queues of voters stretch hundreds of metres to Austin Road. Photo: Junko Asano/HKFP. Zuhairi Misrawi, a legislative candidate from the incumbent Indonesia Democratic Party of Struggle, who flew into Hong Kong to monitor the elections, told HKFP that the management of the elections was a total failure. Voters were hurried along by Hong Kong police and election volunteers. Photo: Junko Asano/HKFP. 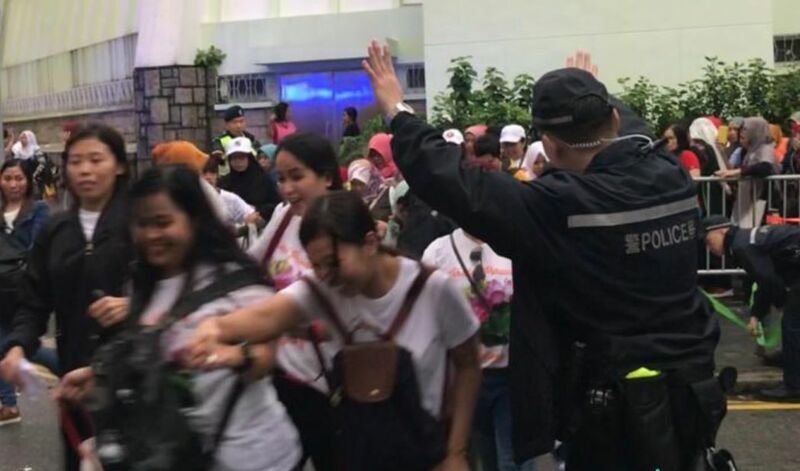 Extra police, election volunteers and security officers arrived to manage the crowd as an ambulance and fire crew assisted those who fainted on site. Registered voters waving invitation letters and rallying at the entrance of the polling station at Queen Elizabeth Stadium, Wan Chai. Photo: Junko Asano/HKFP. 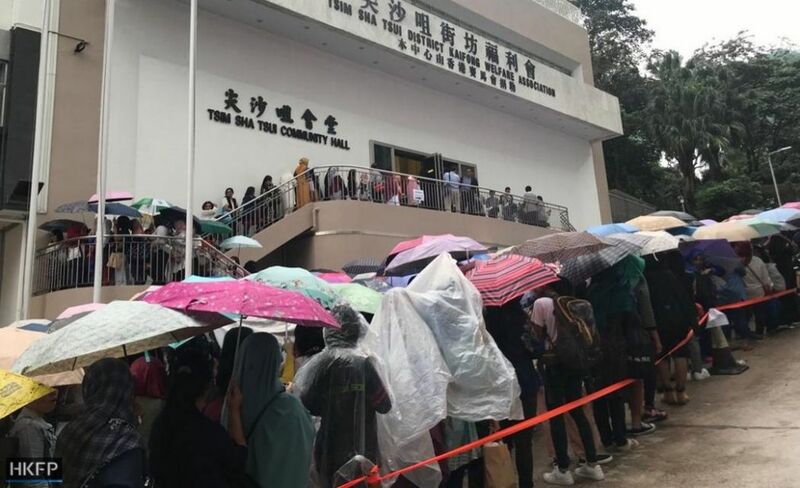 When asked about why the lines were so long, another election official who flew in – Joyo Wardono – told HKFP that poor management was not to blame. Samples of the presidential voting paper (left) and the legislative candidate voting paper (right) in the voting hall, Queen Elizabeth Stadium, Wan Chai. Photo: Junko Asano/HKFP. Ahead of Sunday’s chaotic scenes, consular and election officials told reporters that preparations had been ongoing for months, but warned polling stations would be busy. Polls open across Indonesian archipelago on Wednesday.